Adventure Theatre does it again! Their latest musical is absolutely terrific…for everyone except Alexander! My kids and I had such a wonderful afternoon enjoying their latest production, Alexander and the Terrible, Horrible, No Good, Very Bad Day. Based on the book by Judith Viorst, we witness Alexander suffer a series of misfortunes from waking up with gum in his hair to a bad report from the dentist. At bed time Alexander’s parents offer sympathy and hope that tomorrow will be better. 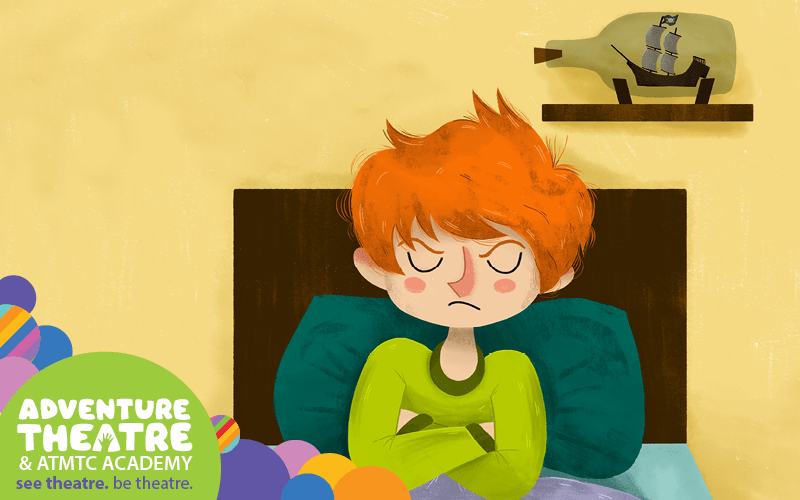 We can all relate to Alexander’s Terrible, Horrible, No Good, Very Bad Day and it offers a fun way to talk with kids about bad days and being grumpy. This Terrible, Horrible, No Good, Very Bad Day is all to the audience’s delight! While this show sticks very closely to the book, it is sprinkled with some really fun and catchy tunes paired with some pretty fancy footwork. I left wishing we could buy a copy of the soundtrack! The set was so bright and colorful, and the cast was enthusiastic and charming. We always enjoy Adventure Theatre’s productions but this one may just be my all-time favorite! The Adventure Theatre does an excellent job of balancing beautiful sets, props and costumes and the abstract or imaginary to spark children’s imaginations. My kids and I had read the book several times leading up to the play, and while I am sure they would have enjoyed it either way, I think watching the book come to life in front of their eyes made the experience even more magical. I would highly suggest reading the book as a family before you catch the show. This hour-long show (with no intermission) show is truly enjoyable for the entire family. Get your tickets here while you can!